Just wondering if you can help me out - I’m still trying to sell my babyzilla seen at GTi-R Addiction and I’m wondering if you could put a little something in Response? I’m selling it for AUD$23,500, which is a mega bargain seeing it owes me AUD$45,000! Since your story I have put in a brand new GT30 ball-bearing turbo, PerfectPower computer, Bosch 550hp fuel pump and a few other things. My phone number is 0405 285202. If you could put it in so I can sell her to start my new project (which I’m hoping will also grace the pages of AutoSpeed) that would be great. In your test of the Nissan X-Trail New Car Test - Nissan X-Trail Ti you talk about the QR25DE engine with 245Nm and 132kW. But, when reading Nissan’s information about this engine, QR25DE has 230Nm and 121kW... Also in the headline it states "X-Trail Ti" - is there another engine called QR25DE Ti? The Nissan X-Trail delivered in Norway probably has different engine specs to the Australian model. (The Ti badge, incidentally, identifies trim level only.) The 121kW/230Nm output that you mentioned is generated by the QR25DE NEO. 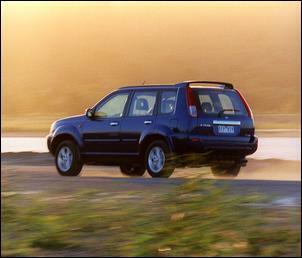 The Australian X-Trail enginre is not NEO spec. 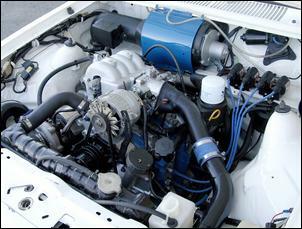 Stay tuned for our Engine Epic update covering these latest-tech Nissan fours. 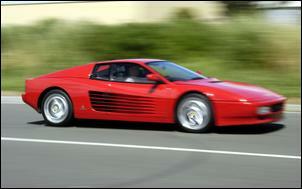 Nice piece on the 512TR - Riding the Prancing Horse. However, can you think of an even more exclusive car that was also quicker to 100 km/h? A German car? A German ESTATE car? A few (literally!) went to New Zealand, 180 went to UK (RHD) and 2200 total were built. Yes, the Audi Porsche RS2. Why not track down an owner or two in NZ or England and compare it with, say, an early Scooby or even a current one? The best would be to drive the RS2, the RS4 and the RS6 to see how they compare in terms of pace and pleasure. The RS2 did much more than those Volvo T5 heaps (how much torque-steer?) to define the new sector of bruiser estate cars - that only now are MB and BMW (and even Jaguar!) are cottoning on to. Try one - you may be very pleasantly surprised at the sheer character of the old quattro shining through. Sounds like a good idea - except we're in Australia! Anyone have a RS2 available for a drive locally? Have you ever done an article on the program called ROMeditor (for programming Nissan ECUs)? It is freeware and I would like to know if you could maybe do an article on whether it works and how easy it is to use, etc. I have a GT-R that uses 20 litres of fuel per 100km and has been previously installed with a modified EPROM. I would like to use this program to tame down the fuel map a bit and get back some power and economy - the car is hopelessly overfuelled. We haven't done a story on ROM Editor. 20-litres per 100km - boy - we can understand why you want to make some adjustments! We think you'll really like the kit interceptor module that Silicon Chip magazine has developed - it will be released about mid-year and we'll be covering its application in AutoSpeed. This unit is also MUCH easier to tune than any ROM editor we've ever seen. 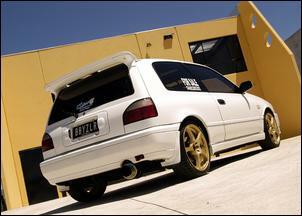 I am doing an assignment on editorials and am writing on the legality of car modifications. I was wondering if you could send me an email regarding this issue - if possible, could you point out specific issues related to the certain models or makes? Thanks in advance. Unfortunately, the legality of vehicle modifications is an area that's hugely muddled. What's legal in one state is often illegal in another. We suggest contacting your local RTA (or equivalent) for some basic guidelines. I have been a member for quite some time now! I thought it was about time I wrote a letter to you with some feedback. Firstly, I think AutoSpeed is the best automotive publication is Australia and possibly the world. The content quality is excellent. To read articles that are honest, truthful and non-biased really makes informative and entertaining reading. Its good to see this approach applied across the board whether it be a new, used car review or product reviews. Especially as there must be pressure on you from certain manufacturers to give positive feedback. Secondly, you need to be commended on your sensible approach to all car modification stories. It's all too often you read alternative publications that have highly recommended products that haven’t even been backed up by test results or evidence. I also like your ‘bang for your buck’ approach. This approach goes to show not all mods need to cost big $ to achieve awesome real world results. Lastly, I think some of the more popular articles should be free to access by non-members. This allows visitors to read and appreciate the quality publication and excellent journalism that AutoSpeed is all about and in turn possibly gaining a larger member subscriber database. Keep up the top work guys! Thank you very much for your praise. Re free access articles - many of our free articles are popular largely because they are free! But we take your point onboard and will look further into it. Re the Auterra scan tool (as seen at Reading Your Car's Brain - Part 2 and Reading Your Car's Brain - Part 3)... Have you tested this scan tool on any other vehicles? Also, do you know which vehicles have OBDII or where I can get information on which vehicle has OBDII? 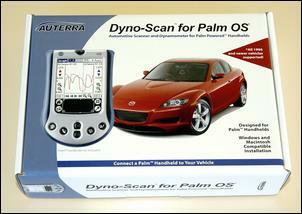 We have used the Auterra scan tool on a Holden Astra turbo, Honda Accord Euro and other cars. I would like to know how much it would cost me if I were to import a used Nissan Skyline R30-R32 2.5 turbo or 2.8 turbo and - if there are cars available - could provide me with a list. I would gladly appreciate it. We're based in Australia and we're not sure on the importing regulations and practices in South Africa. Perhaps do a thorough web search. 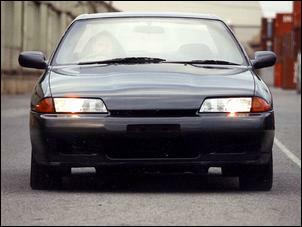 Note that the R31 Skyline was only ever released with a 2.0-litre turbo engine (not a 2.5-litre, as available in the R33). 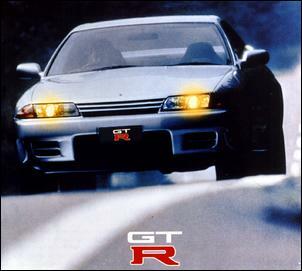 The same goes for the R32 Skyline, in which the 2.6-litre twin-turbo GT-R engine was also introduced.